Author Written by Afshad Irani and last updated on Posted on September 13, 2017 . We continue our SAP MM training course and this tutorial will provide an introduction and detailed overview of one of the most fundamental processes in procurement and in SAP MM module: SAP Procure to Pay Process. This process is also known as an External Procurement Process. SAP Procure to Pay process is required when we need to purchase materials/services from an external vendor for our company. This process includes all the business tasks starting from a purchase requisition (PR) and finishing with payment to the vendor. Material requirement planning (MRP) from Warehouse Management to ensure minimum material stock and tools quantities in the warehouse. Plant Maintenance materials, tools, external resources, services plans to procure all the resources needed to manage Plant Maintenance in a proper way. Other procurement needs coming from departments of a company. A Purchase Order: in this case an RFQ (Request for Quotation) process first is needed. An Open Contract: in this case, in addition to the RFQ process, the purchasing task is finalized by means of the Purchase Order referred to the Open Contract. The RFQ process is always carried out by the Procurement Department before issuing a contract. Usually the ultimate aim of this phase is to select a supplier among several of them, in relation to the goods or services to be purchased. A Goods Receipt allows the warehouse of department who ordered purchases to certify the received quantity of goods while a Service Entry allows them to certify the acceptance of services. Both tasks are performed only in relation to a Purchase Order/Contract Release Order. The following sub-process, which name is Invoice Handling, contains the tasks to match the invoice to the Contract Release Order or the Purchase Order. It contains also the tasks needed to check the invoice data against the Contract Release Order or Purchase Order data, such as quantity and values by each position. The last task is related to the recording of a vendor’s payment. SAP procure to pay process utilizes the following transactions and documents in SAP ERP. Purchase requisition is an internal document which is issued/created whenever the goods (stock/non-stock) and/or services are required. Several types of document will be available to be used. SAP system checks automatically various parameters like budget availability and requires an approval workflow for the requisition mainly based on its value and internal delegation of authorities, as well as other technical parameters (like item category or purchasing group). The requisition created in the system can also be revised if needed. RFQ is required when you don’t know your vendor and need quotations from several vendors for a material/service. It is the complete set of process that is triggered once a purchase requisition has been received. 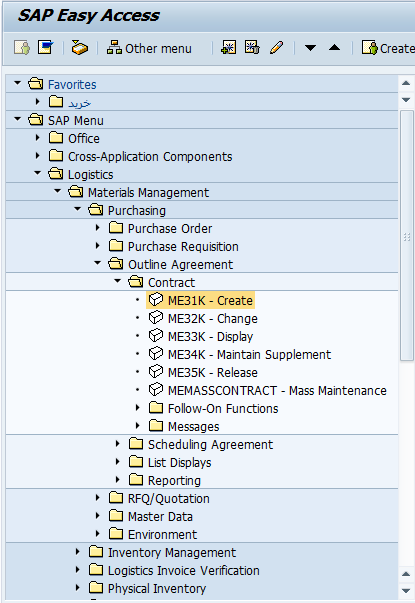 Requisition line items can be grouped together in the same RFQ process. Once the quotations are received from your vendors, you maintain the records in SAP system thus changing the RFQ document to a Quotation. Open contract is a general agreement with the vendor for a given period of validity with agreed price list. With reference to the same contract multiple Contract Release Orders can be generated until it is expired or outstanding value is available. Purchase order is an agreed upon official document from the customer to vendor for customer’s intent to buy or receive one/multiple materials with agreed prices, lead times/delivery dates, quantities and specifications. The budget commitment is automatically created. Tolerances for goods and unplanned services can be foreseen. Contract Release Order is an agreed upon an official document from the customer to the vendor regarding the customer’s intent to buy or receive one/multiple materials with agreed prices, lead times/delivery dates, quantities and specifications and it is created with reference to an Open Contract. The budget commitment is automatically created. Tolerances for goods and unplanned services can be foreseen. Goods Receipt is the step in the procurement cycle where the actual goods ordered via a Purchase Order/Contract Release Order are received by the company and it is checked for the required quality / quantity. 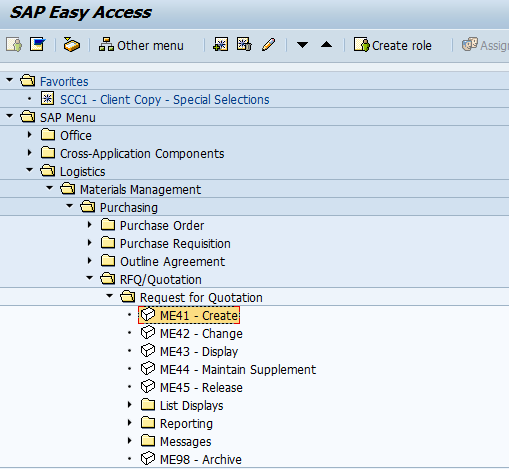 If the goods quality meets the required criteria, a Goods Receipt transaction is posted in the SAP system with reference to the Purchase Order / Contract Release Order. This transaction has dual effect of changing the stock quantity (for entered materials) and at the same time entry in the financials module is also passed for the debiting the stock against the payables to the vendor. Service entry certifies that the requested services from the Purchase Order/Contract Release Order have been actually delivered/rendered. A confirmation with the required parameters is entered on the service entry sheet which is then routed via a workflow to the required levels for confirmation and the final approval. The process is triggered whenever a vendor invoice received for the purchases is to be entered in the SAP system. The invoice entered initially is considered to be in the “Parked” status, which means that no financial entry or posting has been done and the invoice details exist in the system for record keeping and further approvals. At this stage a “3 way check” in the standard SAP system is triggered in which the invoice received is checked automatically versus the reference purchase order and the good receipt document for the accuracy of price/quantity. Any discrepancy observed here can be adjusted for variances and disputed amounts. The invoice can be put on a status of block for payment. Once the invoice is approved via the defined workflow in the SAP system, the invoice can be actually posted. It is usually done by the responsible person in the Accounts Payables department of a company. The process usually overlaps joint functionality in the MM and FI modules. If the invoice is approved via workflow, the last step in the cycle of purchasing is the payment to the vendor. This is done by entering a transaction in the SAP system called the “Automatic Payment Run”, which is usually triggered periodically based on the payment terms / due dates as mentioned in the purchase order. The result of the payment run can be a check printed via SAP for the intended vendors or the results of the payment run can be exported to external systems for online banking portal via which the vendor payments are transferred electronically. 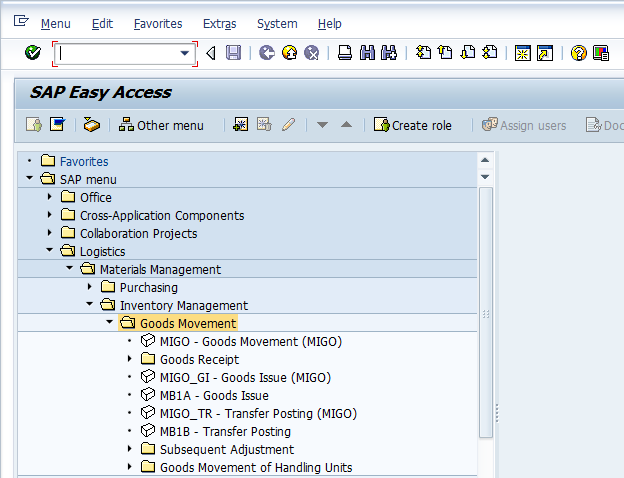 How barcode look after implementation for SAP warehouse? The barcodes can be customized in a variety of ways in SAP. So, you make them look as you or your client want. Can you put voice to these online tutorials please? 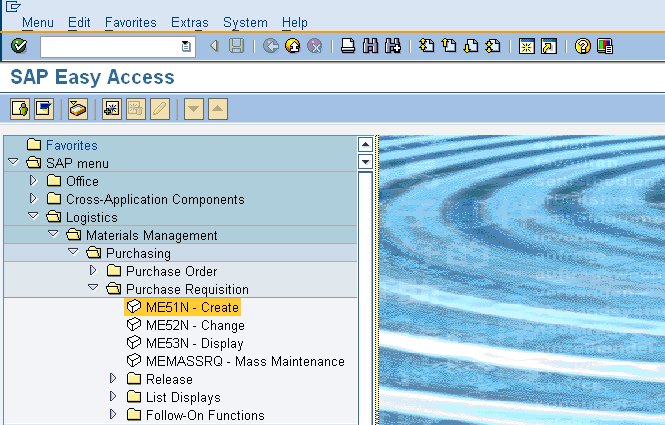 I haven’t used SAP in a few months, this tutorial is a nice refresher . Thanks! Sir kindly let us know the detailed creation of each transaction code as you have explained till the create further steps are not shown with the snap shot of the screen. So if it is there we could have detailed study of it.. 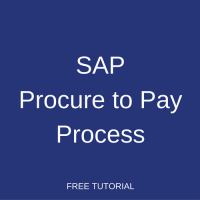 This tutorial is a high-level overview of SAP Procure to Pay process, so we don’t go into details too much. Each step of the Procure to Pay business process is explained with screenshots and additional information in the next tutorials of our free SAP MM course. how to cancel a PO? it is possible to cancel a PO or delete line items after taking GR?? It is not possible to cancel a PO but you can delete individual items in a purchase order. Yes, it is possible to delete items in PO after goods receipt if you also posted an invoice and purchasing cycle is complete for this item. 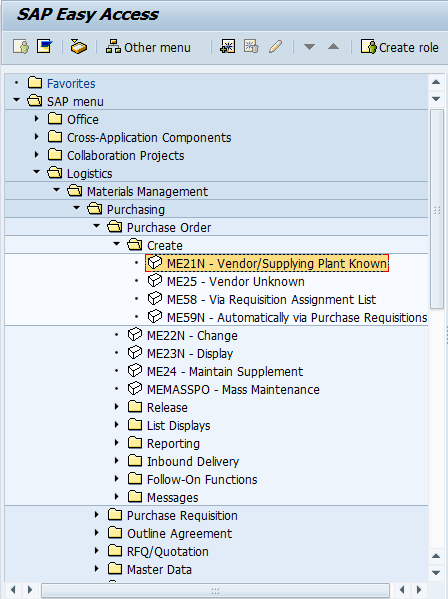 How can i have tax code in purchase order that is ME21 or ME21N….. i cannot see any tax field in PO please help me…. You can see the tax code on “Invoice” tab (at item level) in ME21N transaction. I have learnt the SAP MM course. But i’m not enough confident on it. I need real time experience. can you provide. Thanks for this high level summary/overview. A nice addition would be to see where the main acknowledged financial risks are in this process and therefore where there already exists inbuilt controls or where controls may need to be added, to mitigate the identified risks? Really awesome overview. Thanks for your efforts. Can u please post SAP MM Tickets, SAP MM Tables, & Transaction codes which we face in our daily work. ***The most important thing Iam requesting is please provide solutions to errors. Many thanks for your great, found it so useful. I have not used SAP for a couple of years, and this is a great way to get a refreshed look. The information was good. I have no clear idea about the Quotation which got cleared through this document. 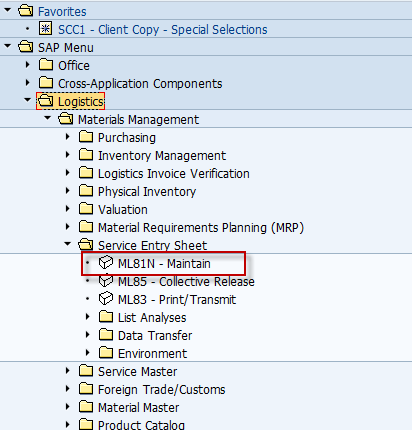 Which of the following activities/documents belong to SAP Procure to Pay process?